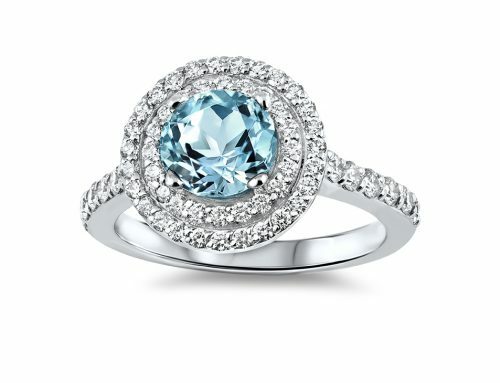 Replica of a Tiffany-style ring. 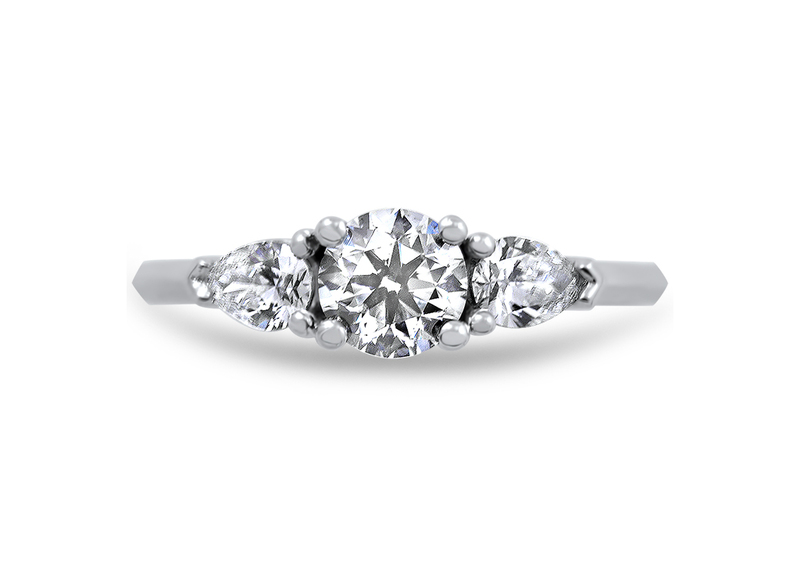 0.90 carat round brilliant center stone with matched pears (0.23 ct each). 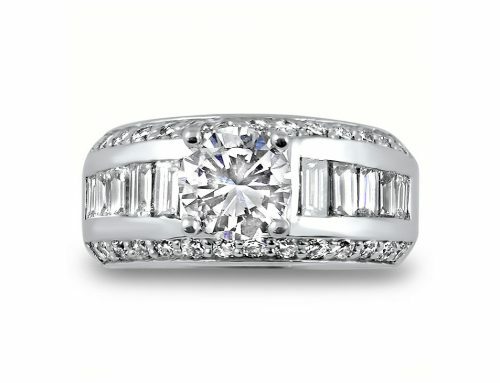 My client’s fiance had her heart set on an elegant, 3-stone Tiffany ring. 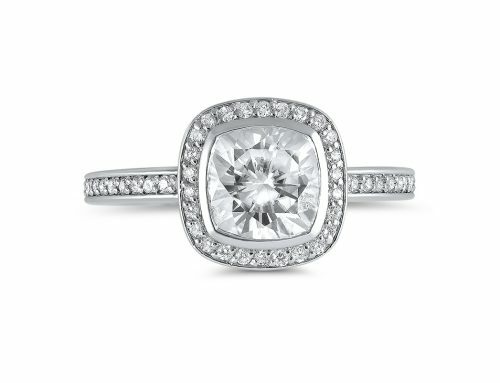 Problem #1: the diamond sizes she wanted weren’t available in Canada. 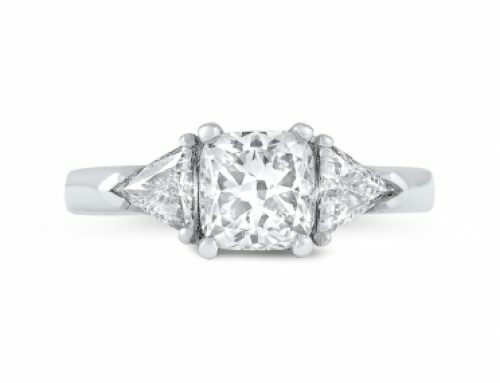 Problem #2: the ring was priced at $20,000+. 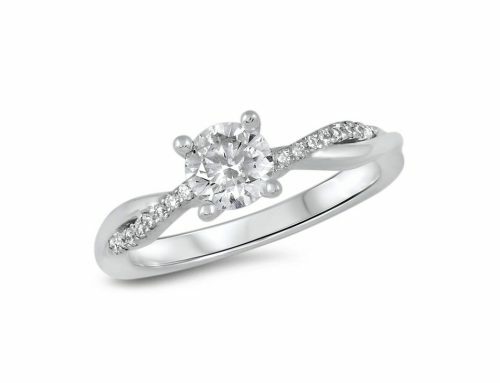 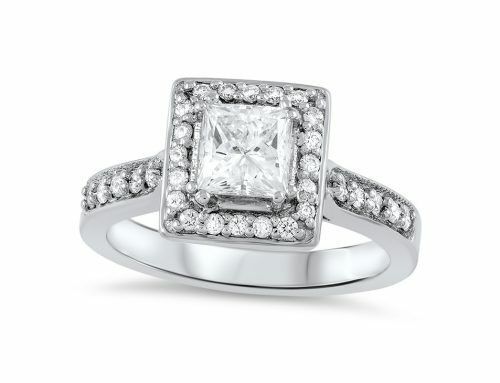 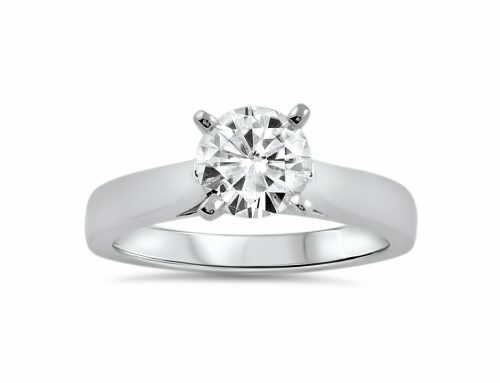 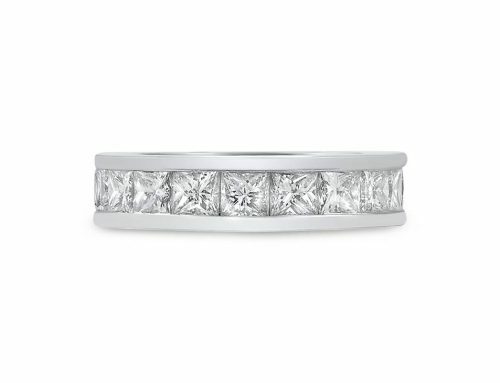 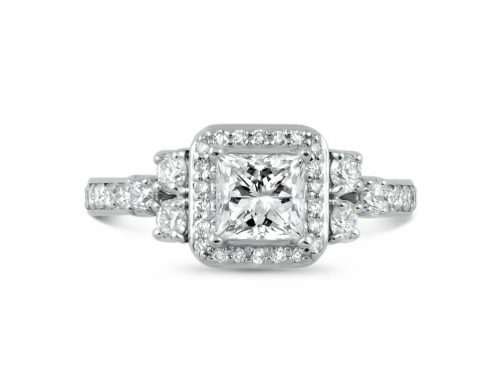 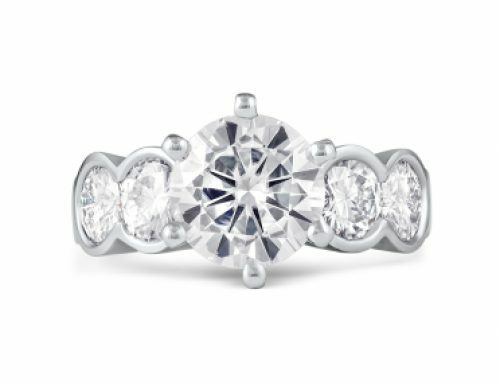 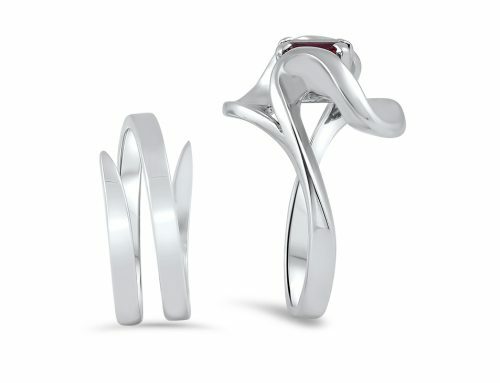 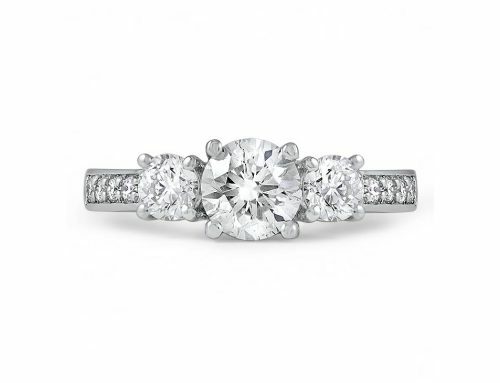 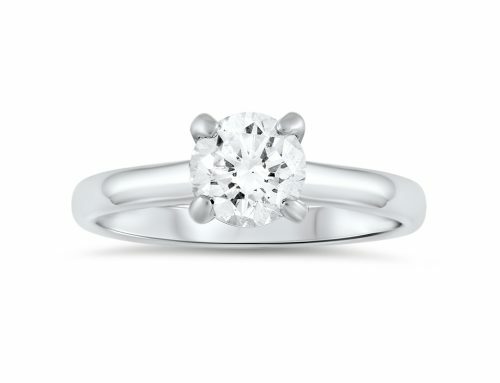 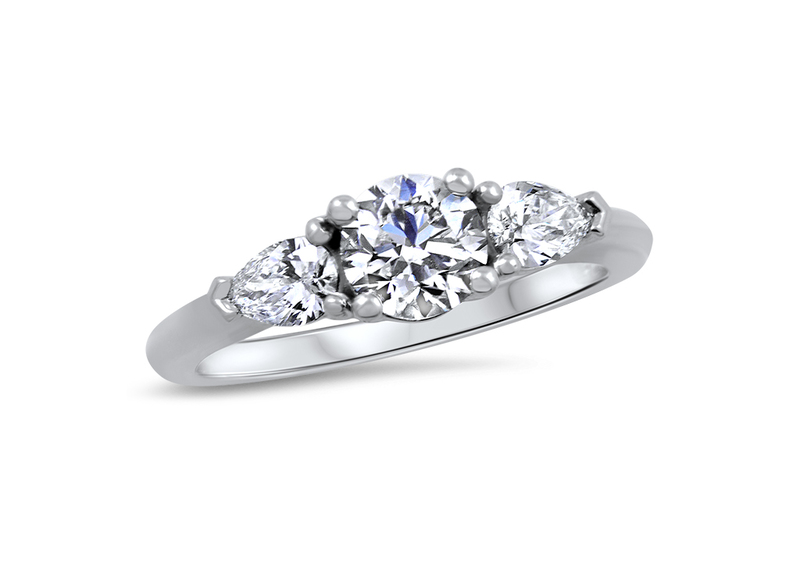 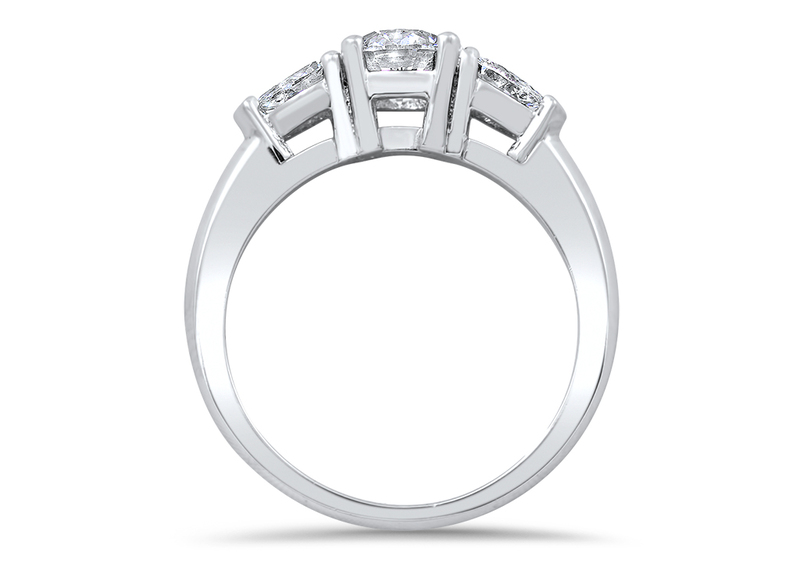 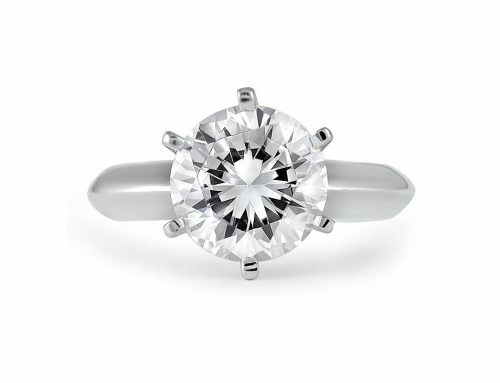 The solution: I custom-made the ring – using the exact diamonds she wanted – for less than half the retail price.